Christie’s total business focuses on commercial flooring and coverings. We are highly experienced specialists in all matters related to commercial floor installation. We take pride in our over 100 years of service in the industry, proving that clients trust how we do our work. General Consultancy - Our well-trained and experienced team will gladly explain everything to you, from the project concept to completion. We provide technical advice to give you an idea how the actual commercial floor installation procedure works. Product Confirmation, Advice and Selection – We will not leave you hanging when it comes to deciding on the features of your commercial carpet. The final decision is always yours. This ensures that you’re informed every step of the installation project. Flooring Budgets – We will inform you beforehand how much the installation project will cost. We understand that commercial projects can be costly, so feel free to inform us of your limit. Our team will try to work out a plan according to your budget. Full Supply, Installation and Project Management – Our team will keep you updated on the progress of your commercial floor installation. All you need is to sit back and relax, while we handle all aspects of the project. Resolving Moisture Issues – We will examine your property to find out if it’s in a good enough condition for a commercial carpet. Our team will resolve any moisture issue before proceeding to the installation, so you will not encounter problems with your carpet in the future. Our emphasis is on quality, and we do not like taking short cuts. We provide commercial vinyl flooring, carpeting and other solutions to different types of customers. These include those who directly or indirectly participate in the market like architects, designers, project managers, builders, the government, institutions and end users. 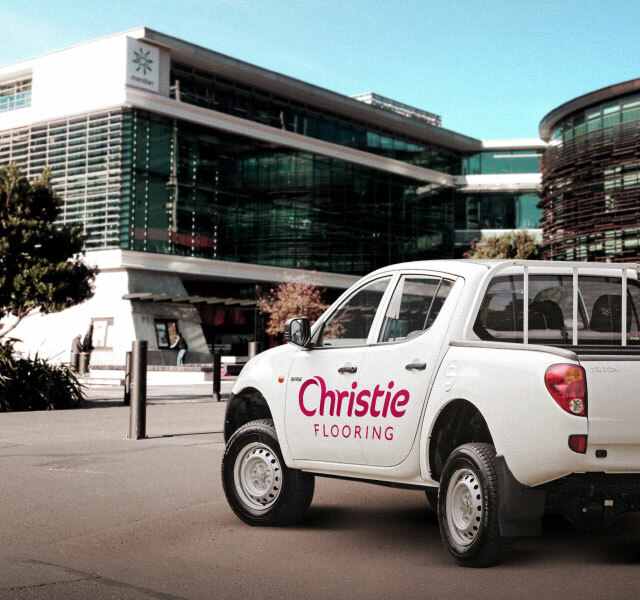 Call us at +64 4 476 4000 or send an e-mail to info@christieflooring.co.nz to get started. We will be glad to work on your commercial property needs. We supply from the main brands of commercial tiles, carpets and vinyl, including boutique and specialist products.